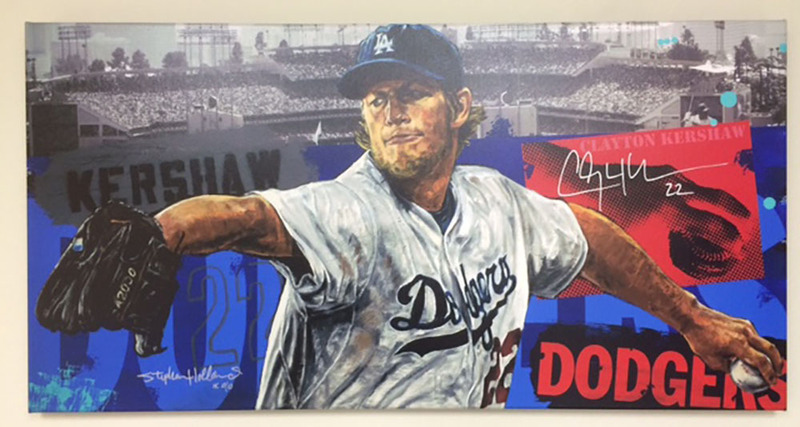 Clayton Kershaw, past winner of both the Roberto Clemente and Branch Rickey Awards for his humanitarian work, currently has an auction up at MLB Auctions that benefits his Kershaw's Challenge charity. There's a bunch of great stuff to check out. Go here for a complete listing. 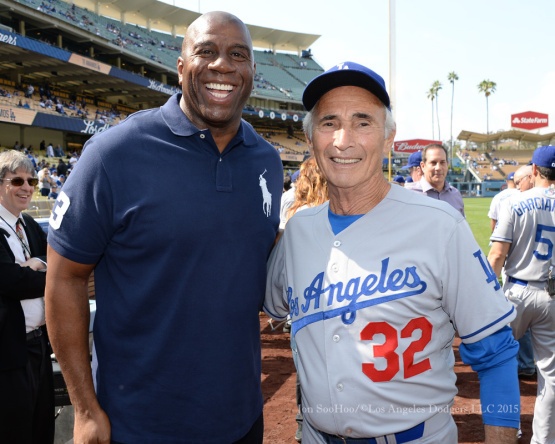 Below are a handful of items that stuck out to me. 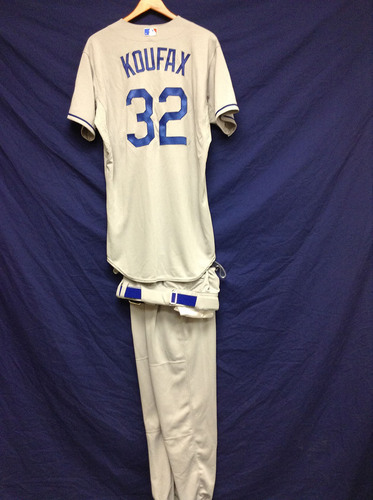 Below is Sandy Koufax's complete Old-Timers Game uniform he wore on May 16th, 2015 at Dodger Stadium. 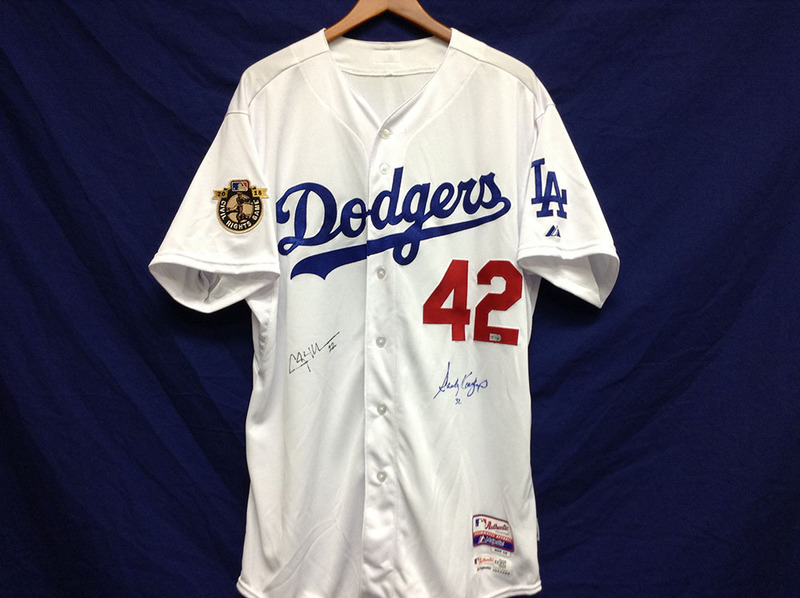 And below is Clayton Kershaw's game worn jersey worn in the Civil Rights Game honoring Jackie Robinson at Dodger Stadium April 15th, 2015. Notice the patch on the right shoulder. 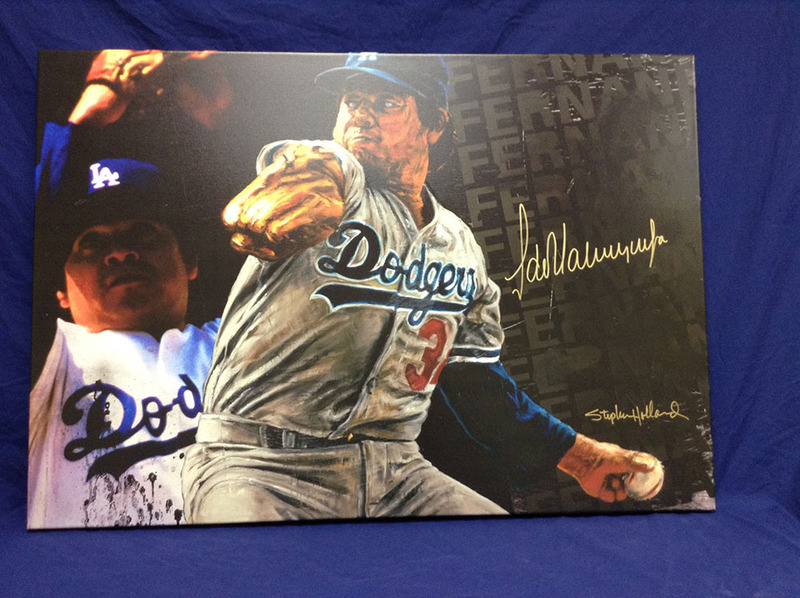 It has also been signed by both Kershaw and Sandy Koufax. 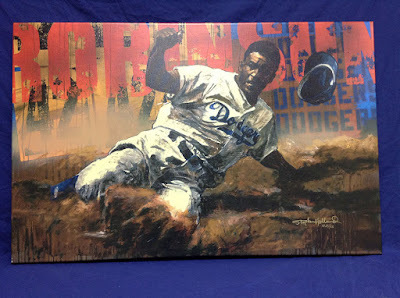 The next three items are all canvas prints by noted sports artist Stephen Holland. 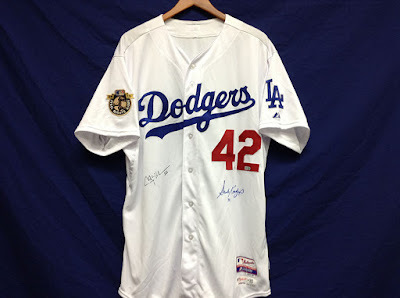 They have all been signed by the player (with exception of the Jackie Robinson... obviously).